The Sports team is responsible for ensuring coverage of every university-related athletic event. The section seeks to provide coverage of many Puget Sound athletic team’s game-time performance, commentaries on sports-related issues, and features of outstanding individual athletes and special sporting events. If you would like to contact the Sports section editor, send mail to: trailsportseditor@gmail.com. Zachary Fletcher is this year’s Sports & Outdoors section editor for The Trail. This is his third year working for The Trail and his first as a section editor. 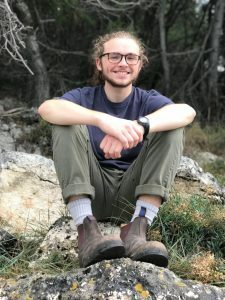 He is a junior double majoring in Communication Studies and Politics and Government and has just returned from a semester abroad in the Balkans. He plays for the ultimate frisbee team on campus and is a member of Underground Sound A Cappella. In his free time he enjoys reading, going for runs, and watching the Eagles beat the Patriots 41-33.